Most people live a life they never would have planned. The good news is that coming to the end of their expectations means they’re on the brink of great wisdom, peace, and joy. That’s what the ancient author of Ecclesiastes helps us figure out—it is quite possible to face detours and dead-ends in life and still find more satisfaction than you ever could have imagined. 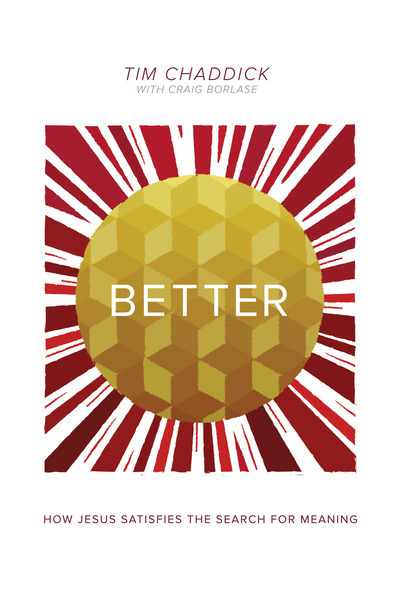 Better explores the mysteries, scandalous lines, and deep truths of Ecclesiastes and applies them to life today. Better seeks to show how the questions of the heart find their answer in the person of Jesus. Here you will find a vision of life that is neither naive nor cynical, but realistic and hopeful. Because the truth is, when God answers the questions, you finally realize what is better.